Published on February 25, 2019 in Winnipesaukee Resort. Closed Tags: Gunstock Lodging, resort near gunstock. Gunstock Mountain, just a ten-minute drive from the Summit Resort, is New Hampshire’s closest major ski area to Boston. 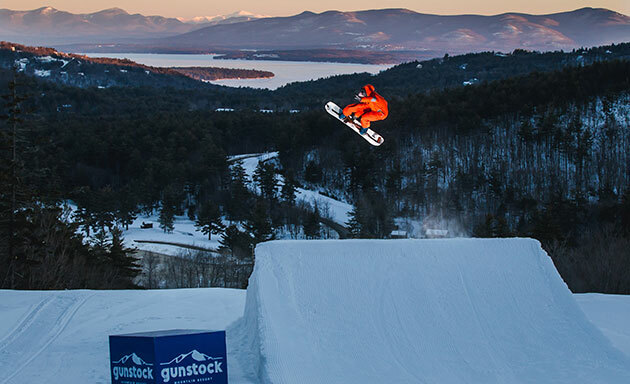 Gunstock is primarily known for their 227 acres of skiing and snowboarding terrain however they are much more than just your typical ski mountain. Gunstock has something to offer the whole family with winter activities including skiing, snowboarding, tubing, cross country skiing, snowshoeing, fat biking, mountain coaster rides, skijoring, yurt yoga and more! Staying at the Summit Resort will save you 25% on ski passes so be sure to stop in at the Front Desk to pick up your discounted skiing, snowboarding and tubing tickets before the short drive to the mountain. After arriving at Gunstock, start your day out at the Cobble Mountain Food Court located in the Main Lodge. Cobble Mountain is one of five dining options at the mountain and opens thirty minutes before the lifts even start running! 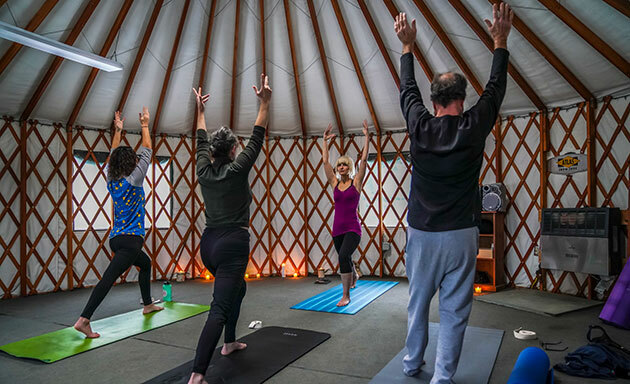 Once you have some fuel, head over to try out the brand-new Yurt Yoga to prepare your mind and body for an amazing day of winter adventures. After you are all limbered up, hit the slopes whether it be skiing, snowboarding or heading to the tubing hill. 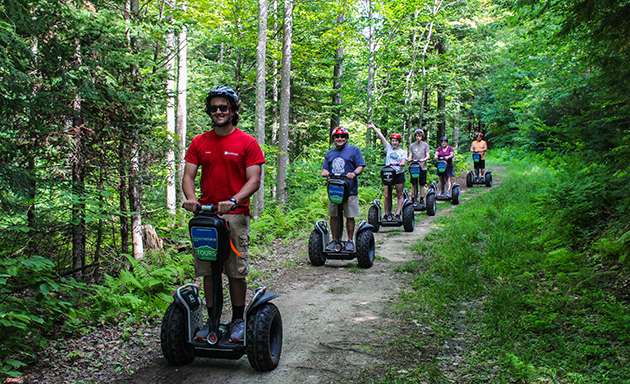 Gunstock has 8 lifts and 55 alpine trails catering to all different experience levels. When guests purchase tubing tickets, they not only have access to New Hampshire’s longest tubing run (1,068 feet!) but also gain admission to unlimited Mountain Coaster rides. 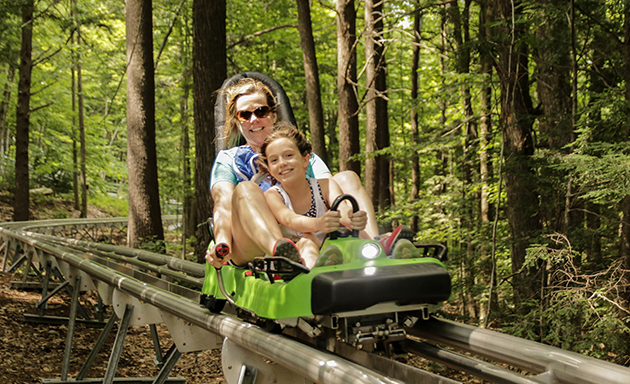 The Mountain Coaster is a unique roller coaster in which you can control the speed that lasts about six minutes with long swooping turns through the Belknap Mountain forest. Once the sun starts setting, it’ll be time to gear up with your headlamps and snowshoes, which the mountain provides, for your snowshoe ridge tour. Kickoff the evening by taking the lift up and hiking the ridge back. Be sure to reserve your spot before arriving as this is a special activity that requires a reservation. 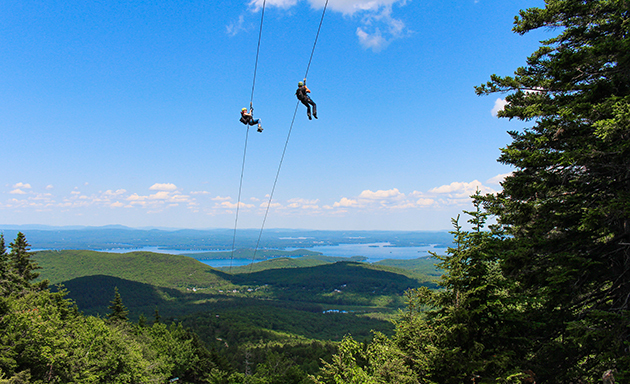 Gunstock Mountain’s adventures are not just limited to the winter months. They are open throughout the warmer, summer season with many more unique activities that can’t be missed. Whether you are planning your winter or summer vacation, after booking your stay at the Summit, be sure to check out Gunstock’s Event Calendar to get information about any special events, live performances, races and much more. Gunstuck does offer equipment rentals but feel free to bring your own accessories as our suites are spacious enough to hold your gear and all of your friends. Our Gunstock Ski and Stay deal not only includes 25% off your day of skiing and tubing but also 20% off your accommodations at the Summit where there are no additional charges for the use of our amenities when you are our guest.